Now let’s get down to the steady-win mobile app strategy. The things I write about here will work for the superstar apps I discussed in the previous post, but you should remember that creating a superstar app is usually a viral game, and you will still need luck to become excessively popular. The steady-win strategy is about good work that will always bring results for any app category. What are the challenges in your life? Is there anything in your daily routine that is really hard to manage? Maybe, there’s an opportunity for an app to help you fight an illness or problem? For instance, apps to help with pain relief, mental or physical health, antidepressant use, and so on. Is there anything that you hate about your routine tasks? Could an app help you to choose gifts, pay your bills or find the best parking lot? What childhood games do you still remember fondly? Maybe, a variation of one could make an awesome mobile app? Is there anything in your daily routine that just takes too much time? Is there a way to speed things up with an app? What are your hobbies? Does an app have the potential to make an activity even more perfect? Cooking, genealogy, collecting, photography, gardening, extreme activities, for example, can all be enhanced. What sports do you play? Maybe, you could share a great technique that you’ve mastered with other people through a mobile app? Think about tips on to swim faster, for baseball rookies, on tennis, for better coordination in ball games, etc. We are all trying to invent a bike, so if you have an idea, rush to the App Store and study the competition. Let’s take diving. Out of 1056 results, most are games but some are targeted at counting points at competitions, while the rest teach you how to dive into a pool or from cliffs. Moreover, 99% of them are free with in-app purchases. I also found a couple of magazines about diving, a scuba diving school app for learning how to dive, weather forecasts for marine boating and diving, a diving competition app for friends, a national USA diving team app with relevant sports news, and an app with a map of the best diving locations for particular resorts and diving centers. Here’s the conclusion: even if it looks like the niche for your app is rather narrow, take stock of all the competitors and choose your app specialization carefully. Moreover, even though there are more than a thousand apps about diving, in reality only a few are actually useful for teaching you to dive, counting points for you, informing you about divers, forecasting the weather or finding the best locations for diving in the world. Even if you don’t have an original idea, you could polish one of the mobile apps that already exists. If you narrow it down to the best five or six apps, spare no expense and buy and install them all. Look at what functions they have that you could include in your future mobile app. Make a list of the basic features each app in your category and specialization needs to become firmly established in the market. Successful apps need to be regularly updated – otherwise your target audience will lose interest in the app and might even delete it. 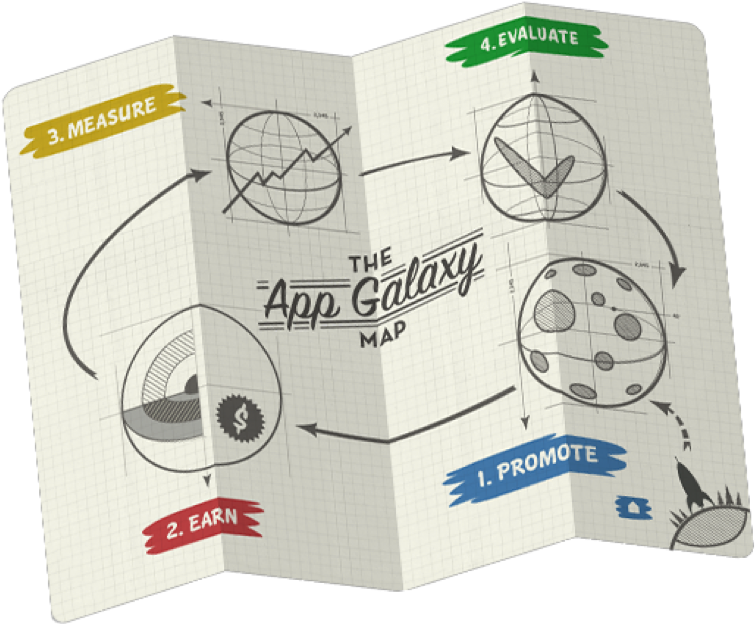 Don’t forget to make your app a dynamic and continually developing product. Make sure that you can easily add new levels, opportunities and content. Any update will give your mobile app one more chance to get into the spotlight! If an update is based on customer reviews and comments, make sure you emphasize that in the release notes. If a serious bug is found in your app, fix it immediately since unsatisfied customers will leave low ratings and write negative reviews in their blogs. Healthy lifestyle. Consumers who like to eat and live healthily and take regular exercise are willing to spend thousands of dollars on their lifestyle. This is a long-term option with great opportunities for tracking calories, recording activity, etc. For instance, you could partner with famous bloggers or writers. They could offer your app free as an addition to their book or magazine. The same works for health food stores, cafes, restaurants, delivery services, diet specialists, etc. Eco-friendliness. Can you make our planet a better place with a mobile app? Maybe, you could add sustainability features to save costs on central heating, cooling, recycling, water consumption, air conditioning or gas? Interior and home design. People love making their houses feel like a home by adding cozy stuff and following smart design hacks. Small or big changes can easily make a difference, so you have a great field to work on here. Teach people how to place furniture according to feng shui, how to improve their old backyard, or how to create a romantic mood by adding new colors to their living room. Fashion and beauty. The trends here are always popular and can be a source of inspiration for many ideas. There are multiple opportunities just for clothes. Think about women who have a full wardrobe but can’t decide what to wear. Teenagers and kids can struggle over casual and party clothing. Many people have old clothes that they don’t want to get rid of because it’s such a waste. Others want to follow the latest fashions. Customization. As we switch from marketing for mass production to marketing for customized products, we can see that consumers no longer want to look like everyone else. There is a need for a unique identity and distinctions. Moreover, mass products don’t have the same “humane” approach and sometimes their designs and materials are poor. This is true in fashion, travel, food, interior design and many things that we use every day. It also explains the success of hipster companies, which always stress their uniqueness. Build an app around this. Perhaps, there is a limited selection of cupcakes for corporate parties in your home town, so why not make an app that lets people design and order beautiful pastry? Season holidays. The only drawback here is that you depend on the season. However, on particular dates you can expect a boom in traffic and sales though the demand will fall as soon as the holiday period is over. One strategy is to develop an app for each holiday of the year. But this also means that you have to promote each app wisely according to the holiday. Web 2.0. Social media apps and messengers enjoy the greatest popularity apart from games. You could develop a supplementary mobile app for Facebook, LinkedIn, Pinterest, Twitter or another social network. For example, some apps show people when their friends’ birthdays are by using Facebook. Think about the great features you and your friends use, and build an app around them. Old glory. If one of the PC or Mac games you played in the old days went viral, develop the same version for iOS or Android. Many people really love Pacman and pixel games. If you love a computer game that is not available on mobile yet, go for it: contact the company that originally developed the game and partner with them to make it happen! Would you add anything to this steady-win mobile app strategy? Please share your impressions in the comments.